Join the Branford Land Trust on Saturday, November 15 for a book signing with local writer and BLT board member Jen Payne. Jen will be signing copies of her new book LOOK UP! 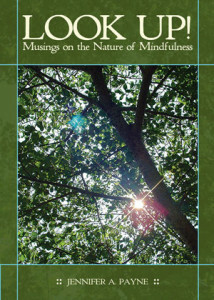 Musings on the Nature of Mindfulness during an open house at the Land Trust House in Stony Creek from 2:00-5:00PM. Refreshments will be served, and books will be available for purchase. A portion of the proceeds of book sales from the event will be donated to the Land Trust to support its education and outreach efforts. LOOK UP! travels season by season through reflections about nature, life, breath, mindfulness, balance, and connection. 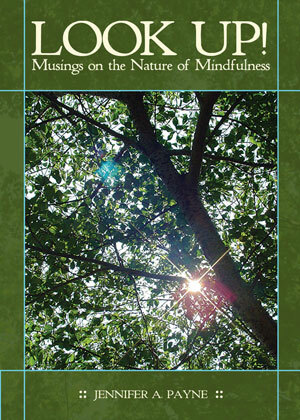 It contains 75 of Jen’s essays and poems, as well as 100 original color photographs of the woods and shoreline of Connecticut, including Branford Supply Ponds and the Stony Creek Trolley Trail. Woven in between are quotations by philosophers, poets, naturalists, and treasured writers. The event is free and open to the public. The Land Trust House is located at 26 School Street in Stony Creek. For more information, please email info @ branfordlandtrust.org.